You will Watch G.I. Joe: A Real American Hero Season 1 Episode 27 online for free episodes with HQ / high quality. Stream cartoons G.I. 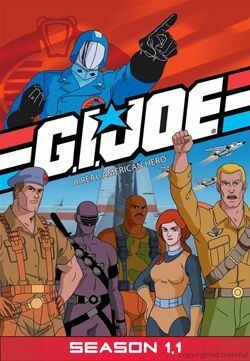 Joe: A Real American Hero Season 1 Episode 27 Lasers in the Night The Baroness spies on the Joes to gain access to the laser guidance system for Cobra Commander. While teaching giving a martial art demonstration, Quick Kick meets Amber, a college student who dreams of being a Joe. They pair soon date and as his girlfriend, Amber gets closer to the Joes secrets, which causes them to think she is a Cobra spy.